The battle-lines are clearly drawn between the petitioners and the Union of India in the Supreme Court’s hearing of the challenges to Section 139AA of the Income Tax Act, which makes the Aadhaar number mandatory for filing Income-Tax returns from this year. Justices A.K.Sikri and Ashok Bhushan today heard Arghya Sengupta, and Zoheb Hossain, AOR, arguing for the Union of India. 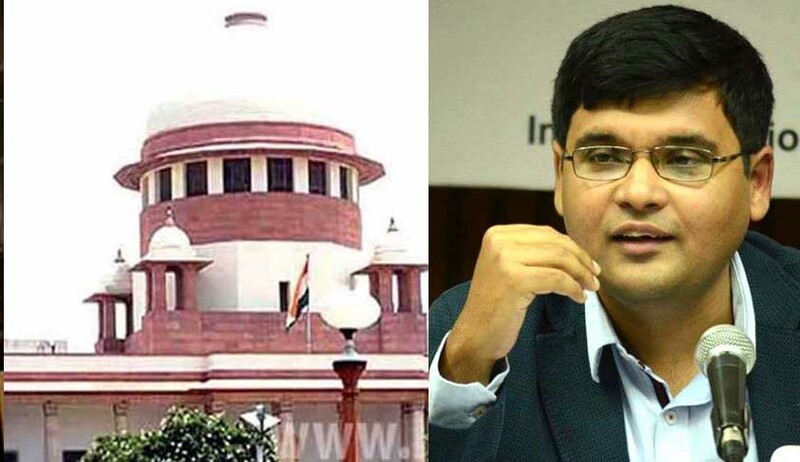 The bench also heard Shyam Divan and Arvind Datar responding to the Government’s submissions. Arghya Sengupta: The doctrine of proportionality has caused immense confusion in U.K. public law. It cannot apply to traditional judicial review cases. There is no need to import the doctrine to India. As Article 14 of the Constitution does not envisage any balancing exercise, the doctrine is not relevant in India. Section 139AA of the IT Act does not impose any new penalty. It imposes the same penalty which was applicable earlier if an assessee does not give the PAN number. Since there is no additional punishment, it cannot be called disproportionate. No Act can be struck down only on the ground that it is arbitrary or unreasonable. Justice J.Chelameswar’s judgment in Rajbala v State of Haryana is cited to support this view. No legislature can solve a social problem 100 per cent, for meeting the requirements of Article 14. Fake PAN cards are of huge magnitude. [He gives a sealed cover supposedly carrying colnfidential data on investigations into fake PAN cards to the bench, which he said the AG forgot to give it on Tuesday. But the bench said there is no need to look at it, if it is not shared with the petitioners, and in any case, the claim that there are a huge number of PAN cards is not disputed. Arghya Sengupta accepts it, and takes it back]. It is incorrect to say that the object of Section 139AA is discriminatory. Its object is de-duplication of PAN. It is also not convincing to argue that conscientious objectors are discriminated against. Such an objection can be raised against any law, as individuals will always have moral and ethical problems in complying with a law, but have to comply with it. He cites the Supreme Court’s order on respecting national anthem, as an instance, where even unwilling citizens have to show respect, by standing up when it is played. Shyam Divan’s argument on informational self-determination is not relevant in India. It is neither absolute, nor independent of privacy in India. State can legitimately require information even in cases where there are no benefits provided. He gives the examples of compulsory registration of marriages, and Census enumeration etc. We are not a society of angels. We have a real problem of tax evasion through fake PAN cards. Therefore, information self-determination is not relevant here. Compelling state interest to identify tax assessees outweighs interests like right to be let alone. Interim orders of the Supreme Court cannot injunct Parliament from enacting laws. If Aadhaar has some flaws, it does not make it unconstitutional. No technology can be 100 per cent foolproof. But leaks are not from UIDAI, but from other Government departments. Justice Sikri: The petitioners need to explain how you can have a right to pay tax in a manner you desire. Zoheb Hossain: Aadhaar eliminates inequality between tax payers and tax evaders, and progressive taxation is a facet of equality under Article 14. There is no inherent discrimination against individuals, as opposed to the companies. But companies cannot go scot free, as their owners will come under scrutiny. Shyam Divan: The petitioners are not hermits, as the AG has suggested. Their concern is not that of elites, either. It is a true civil right concern. Section 139AA and the Aadhaar Act are contradictory. Aadhaar Act expressly states it is voluntary, whereas Section 139AA makes it mandatory. UIDAI website also says in FAQ that any person can choose to enrol. The sequitur is that UIDAI is correct, and Aadhaar is entirely voluntary. You can’t have a legislative scheme with discriminatory object. I can’t imagine that the AG could argue against a statute, and defend the idea of making it mandatory. It is shocking. Section 57 of Aadhaar Act cannot justify Section 139AA of the IT Act. Section 57 has a proviso, which says that all regulations including voluntariness will apply. Cites Sherlock Holmes silver blaze story, to suggest that there is no penalty against non-enrolment in Aadaar Act. Absence of any coercive provision is a strong indication of its voluntariness. A story in a newspaper today says that a new-born child was given the Aadhaar number, before being named by her parents, because Haryana, where the child was born, has made Aadhaar mandatory for issue of birth certificates. The scenario which will unfold is that of a totalitarian state, where every activity is registered, monitored and tagged, leading to whole-time surveillance. Mahatma Gandhi’s first protests in South Africa were against mandatory fingerprinting. Arvind Datar: Parliament cannot legislate against an order of the Supreme Court, without changing its basis. The Court’s interim order is equally sacrosanct. Arguments will continue on Thursday.